KBUT Fm is a community radio station serving Gunnison County, Colorado. We distinguish ourselves from commercial stations through a commitment to community participation & support and local control. 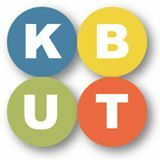 KBUT Fm is licensed to Crested Butte Mountain Educational Radio, Inc., an IRS designated 501(c)(3). KBUT is governed by a 9-person Board of Directors (all volunteer community members). There are currently 4 full-time staff members. KBUT FM broadcasts its programmes decorate its playlists for a socially and culturally diverse audience. In addition to the broadcast of a variety of information and entertainment programmes, KBUT FM broadcasts diverse local productions. Their productions and information-based programs contains such as current affairs, culinary, cultural, entertainment and sports fields. Broadcasting since 1986, KBUT serves the Gunnison Valley through diverse on-air programs, volunteer opportunities open to all community members, and ongoing support for the area’s nonprofit organizations and educational institutions. Community radio is a significant facilitator of democratic ideals and civic participation and is an invaluable community resource, particularly for a rural and remote area such as Gunnison County. The music of the United States reflects the country’s multi-ethnic population through a diverse array of styles.